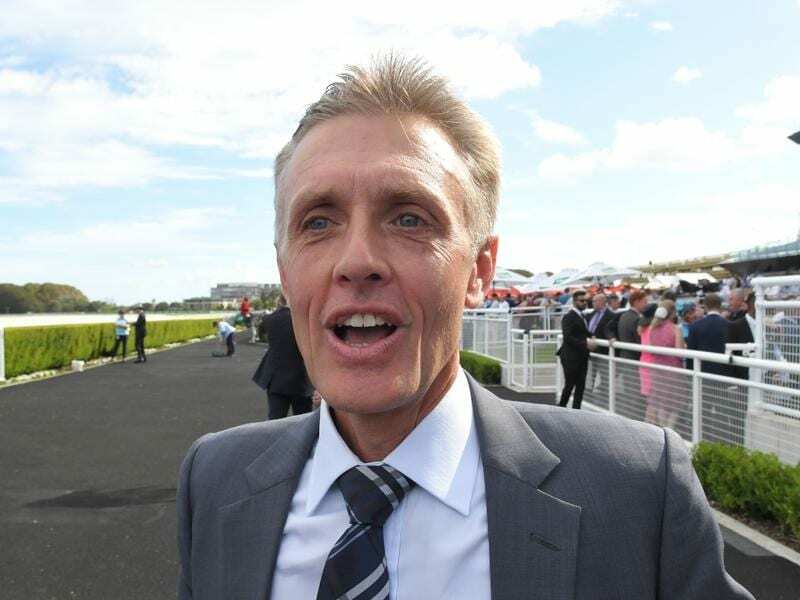 Trainer Mark Newnham will have three runners in the Group One Vinery Stud Stakes at Rosehill. Group One winner Nakeeta Jane is set to spearhead trainer Mark Newnham’s assault on the Vinery Stud Stakes at Rosehill. Newnham plans to have three runners in Saturday’s 2000m Group One race for fillies, with Nakeeta Jane joined in the entries by last-start Kembla Grange Classic third placegetter Scarlet Dream and VRC Oaks runner-up Greysful Glamour. “I’m happy with the way they are all going,” Newnham said. “Nakeeta Jane naturally has the Group One form on the board and everything indicates she will enjoy getting up in trip. “She pulled up well after a tough run in the Randwick Guineas and Josh Parr came and rode her this morning and was really happy with her work. “Scarlet Dream is a really progressive filly,” Newnham said. “When she won those couple of races last preparation, I had this in mind and said she was a good staying filly. “My first thoughts were to probably go to the Adrian Knox Stakes but she ran really well the other day. She wasn’t too far off Pohutukawa and I just thought she deserved her chance. “She will relish the 2000 and she handles wet or dry. “She will be ridden more aggressively on Saturday with an intention to lead and I’m sure that will see her a lot better off,” he said.